And don’t forget the slideshow! I admit, I am a little jealous–who wouldn’t be, in times like these? But my own branch was remodeled fairly recently, and we were lucky enough to avoid the trendy color of the moment (I’m looking at you, orange). And while our remodel cost a lot less, and our building is a lot smaller, we have almost as many computers as they do. So I guess I don’t have all that much to be jealous about after all? Ok, I wish our roof didn’t leak, but that’s getting fixed soon! Scott Pilgrim! An Epic of Epic Epicness! Saturday evening I attended a reading at the Loft Literary Center. 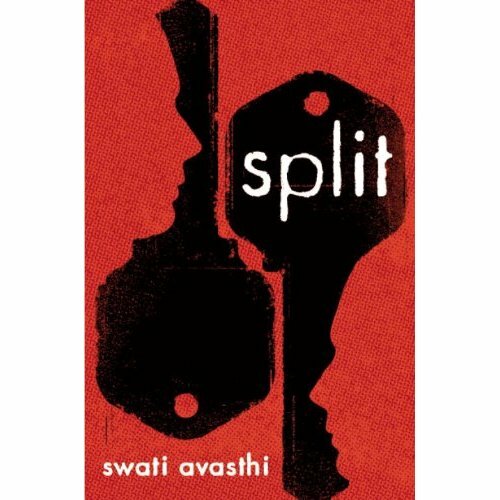 It was for Swati Avasthi’s debut YA novel Split. I haven’t had a chance to read it yet, but based on the selections she presented, it looks to be *really* good; it’s gotten great reviews everywhere. I’m looking forward to it. I originally heard about the book through Kurtis Scaletta’s recent interview with her, and then he nagged me to come to the reading. (Truth be told, it was more along the lines of a pleasant invitation than nagging, but that doesn’t make for as good of a story.) Author readings are always fun, and it’s a shame I don’t attend more, given how vibrant the literary community is here in the Twin Cities. I need to work on that. Charlie and Guddu are identical twins; Charlie has a lisp, and Guddu stutters. That’s pretty much where their similarities end, though: Charlie is a small time conman working for a gang, and Guddu works for an NGO spreading AIDS awareness. They can’t stand each other, and haven’t spoken in years. Charlie loses all of his savings when the jockey who had been paid to throw a race decides to double cross the gang. This enrages Charlie, who had been planning on using his winnings to fund his dream of a bookie stall of his own, so he hunts down the jockey and brings him to the gang’s headquarters. Guddu has gotten his girlfriend Sweety pregnant, and is horrified to learn that her brother is a local politician (read: thug) who would no doubt rather see Guddu dead than married to his sister. Sweety says the only option is to get married and then run far, far away. Unfortunately for them, Sweety’s brother tracks them down. Charlie has found the man who turned the jockey at a nearby luxury hotel, and is determined to get his revenge–or at the very least recoup his financial losses. Meanwhile, in an adjoining room, two corrupt police officers are in the midst of turning a drug deal and collecting a guitar case full of cocaine. Charlie and his cohorts manage to inadvertently steal both the guitar case and the drugs, which cause the corrupt policemen (and their drug lord bosses) to come after Charlie…and wind up catching Guddu. And then Charlie and Guddu have to make some hard choices. Oh what a fabulously twisty turny story! (I didn’t even mention the Angolans or the diamonds.) It’s apparently very heavily reminiscent of Guy Ritchie films, but I can’t judge, as I’ve never seen any of his work. But I know that I want to see more of Vishal Bhardwaj’s films. 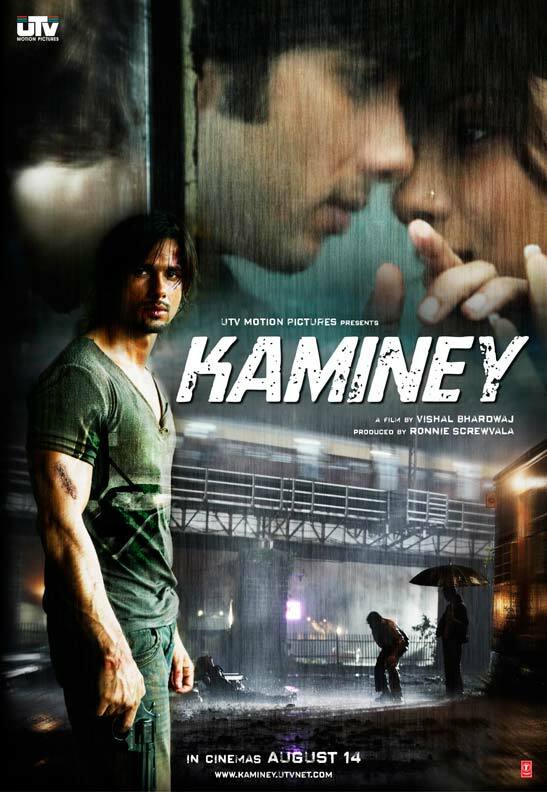 “Kaminey” has garnered all sorts of critical praise both inside and out of the Bollywood industry, and it’s not at all hard to see why, as it’s a fantastic film. The music is pretty awesome too. I am *so* jealous of my friends who saw it on the big screen. On the design:related site, How to Design a Cover in 1:55 seconds and the accompanying video, which boils six hours of work down to less than two minutes. Be sure to read the entire entry, as it’s fascinating! I enjoyed the first book and am eagerly awaiting the second, so to get this sneak peak at the third might maybe have made me squee a bit. Cameron is 16, and he kind of sort of hates school and his life in general. It doesn’t help that his twin sister Jenna is basically perfect, or that the best day of his life so far was a trip to Disney World that happened when he was 5 (he almost died). But Cameron is chugging along, marking time in school, working at the Buddha Burger, buying Great Tremolo records at Eubie’s, and just hanging out, when things suddenly get decidedly weird. He starts to hallucinate and have uncontrollable spasms, which lead his parents to suspect that he’s a drug addict (he’s not), and it takes an array of tests before they find out the real answer: Variant Creutzfeldt-Jakob disease, or mad cow disease. And this is where the story takes a tangent into genius land, at least for me. Instead of becoming a maudlin and predictable book where Cameron and his family come together and bond over the inevitable, Cameron refuses to submit and busts out of the hospital. Along the way, he more or less kidnaps (liberates?) Gonzo, a hypochondriac dwarf classmate who has been recently admitted to the adjoining bed. Together they head off on a zany roadtrip/quest to save the world and find a cure! I loved this book. 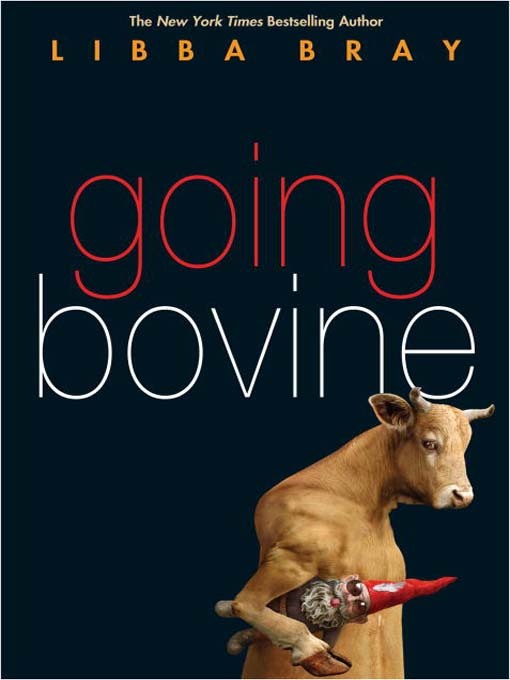 I may have had a little bit of a bad attitude going in, because the Gemma Doyle books just didn’t do it for me, despite having practically checked off the entire list of things I adore in YA literature, but the more I heard about Going Bovine, the more I knew I had to read it…eventually. Part of my love for the book is that you know, deep down, how it’s going to end; heartbreaking as it is, I appreciate that honesty (but it’s still not at all what you expect). Part of my love is that I now really feel like I need to read Don Quixote, and as daunting as that seems, it’s always good when a book violently nudges you to read another book. And I just really like Cameron and Gonzo. Personal aside: I particularly relate to Cameron because thanks to all those years spent growing up in Europe, I could very well develop mad cow disease too, at least according to the Red Cross, which bans me from giving blood. Thanks Red Cross! Way to make me feel special! So if I head off to New Orleans in a Cadillac to find Junior Webster, you’ll know why.